We love new products! These new 18 x 36 tiles from Shaw (just introduced at NeoCon) are such a simple adjustment, but the new shape makes such an impact on design. Since design really is in the details and every detail makes a difference to the overall design, this minor detail can bring just the added design element to create the perfect design solution for your space. 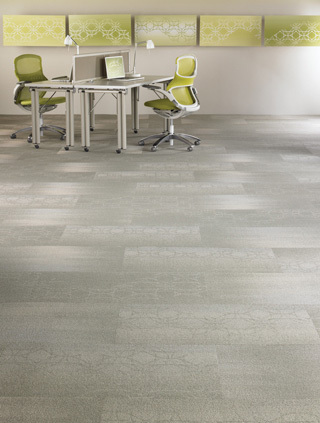 Carpet tiles are an ideal solution for residential game rooms or commercial spaces. Have a small spill? Just replace one simple tile and have a whole new floor again. 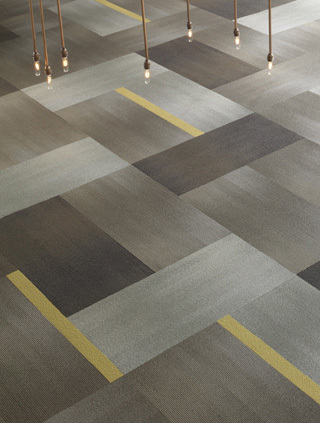 The tiles not only look terrific and hold up just as broadloom commercial carpet, but keeping it maintained and looking great is such a breeze. Hallelujah for innovators making our businesses and lives easier. Now, they introduce a fresh twist on the typical tile to add more design options and variety.